For people longing for warmer days and the arrival of spring, the packed crowd for the KC Remodel and Garden Show inside the American Royal was the place to be Saturday. KANSAS CITY, Mo. — For people longing for warmer days and the arrival of spring, the packed crowd for the KC Remodel and Garden Show inside the American Royal was the place to be Saturday. "I want to have some work done in my closet and I want to have a new bathroom," Linda Newsome said. "A whirlpool would sure be nice." Pam Ray had home improvements on her mind, too: "We decided we needed to kind of freshen up some things and make it more enjoyable while we are still living in the house instead of fixing it up once we move." Nationally, some experts predict the home remodeling industry will take a hit soon, because home values are decreasing, mortgage rates are rising and fewer houses are being sold right now. But the outlook locally is considerably more rosy. "We've got a lot of contracts under wraps," said Nick Stephard, owner of KC Home Solutions and secretary of the National Association of Remodeling Industry. "I see 2019 being even better than 2018." 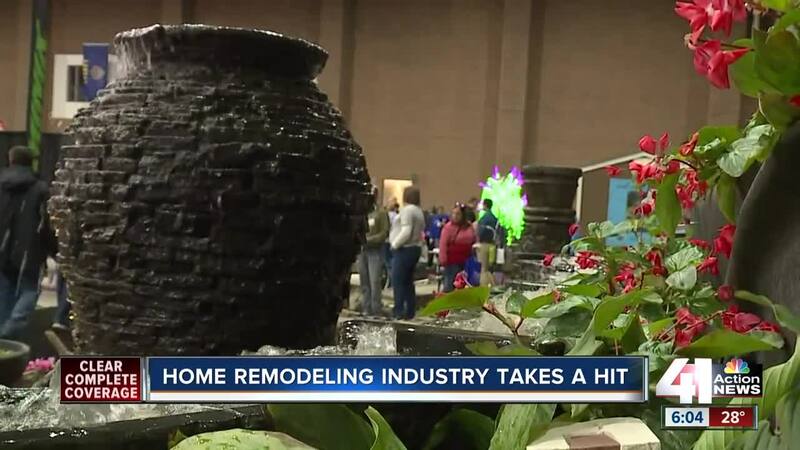 Home improvements can be a big hit to the wallet, but the KC Remodel and Garden Show provides a peek into how much repairs will cost and provides options for those considering upgrades. "We’ve pushed it off more because of expenses and we don’t know how far to go with it," Ray said. Others are using the expo as a chance to priotize projects to do first. "Sooner or later, we’ll get it done," Newsome said. Even though it may seem daunting, Shepard said remodeling can be done on a tight budget. "Find the problem area, why are you wanting to remodel and maybe there’s ways to obtain those needs without doing a high-end expensive remodel," he said. The three-day show wraps up Sunday afternoon.